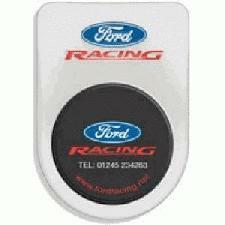 Our Company Tax Disc Holders are a very popular way of getting yourself noticed at a cost effective price. Our Company Tax Disc Holders will all reach you ready branded with your business details and company logo leaving you one thing to do. Give them away to as many people as you can, then when there on a long drive, your advert will follow. Also ideal for the motor trade and taxi cabs. Also known as Tax Disk Holders and available in shield shape, round shape and square with membership card. To find out more about our Company Tax Disc Holders click here and fill in the contact form and we'll get straight back to you. Other promotional and personalised items besides our Company Tax Disc Holders click here.